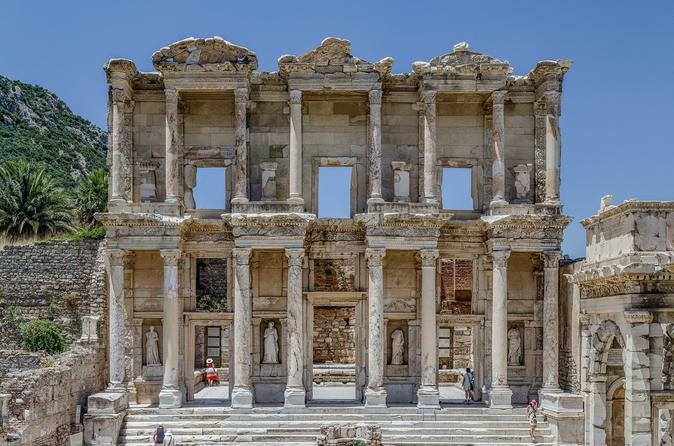 When your ship moors in Kusadasi port, seize the moment and visit ancient Ephesus on this 5-hour private shore excursion. Meet your guide and travel to this spectacular archaeological site to see its well-preserved streets, shops, baths and temples, plus the Great Theatre and Library of Celsus. Stop, too, at the ruins of the once-mighty Temple of Artemis, one of the Wonders of the Ancient World, and visit the cobbled hill village of Şirince to sample its fruit wine. Enjoy the full attention of your knowledgeable guide on this private tour. Explore the spectacular ancient city of Ephesus on a private shore excursion from the Kusadasi port. 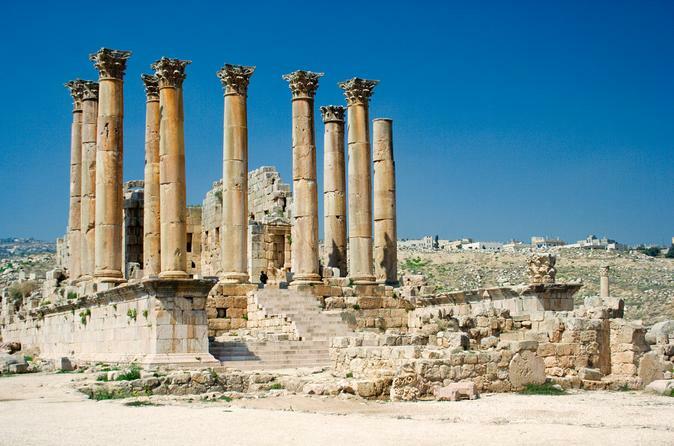 Learn about the rich history of this ancient city and visit the House of Virgin Mary, the Basilica of St John and the Temple or Artemis (also known as Temple of Diana). At the Ephesus Museum, see excavations from Ephesus, as well as frescoes, mosaics and the two famous statues of the Artemis of Ephesus. A private guided tour ensures you make the most of your brief time in port. Enjoy this 5-hour shore excursion starting at Kusadasi, and taking you to Ephesus where you can trace Alexander the Great, Caesar or Cicero. Visit the recently opened Terraced Houses (entry included) and admire the frescos as well as the The House of Virgin Mary and temple of Artemis. Once back in Kusadasi, you can enjoy some shopping. 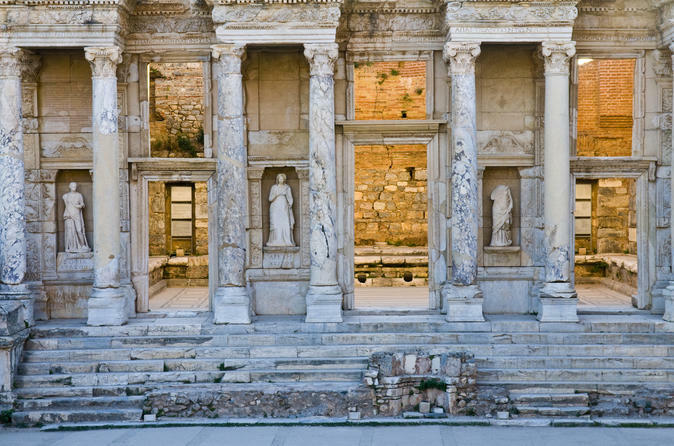 Admire the spectacular ancient sights of Ephesus, site of one of the "Seven Wonders of the Ancient World". On this privately guided tour, you will learn about the rich history and heritage as you walk through 2,000 year-old marble streets, the Great Theater, Library of Celsius and Hadrian's Temple. 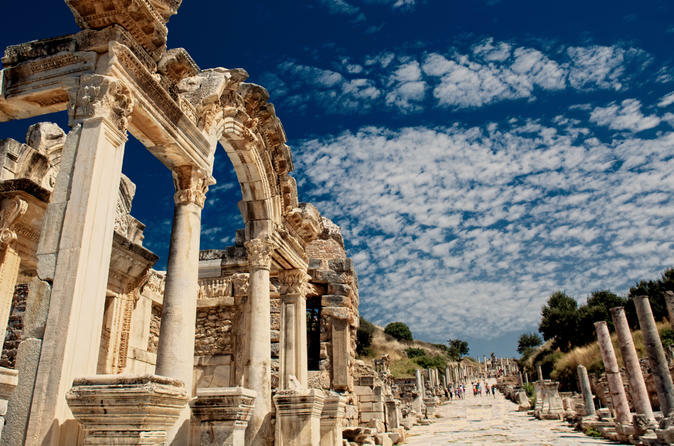 When your cruise docks in the Kusadasi port, head to Ephesus on a private tour! 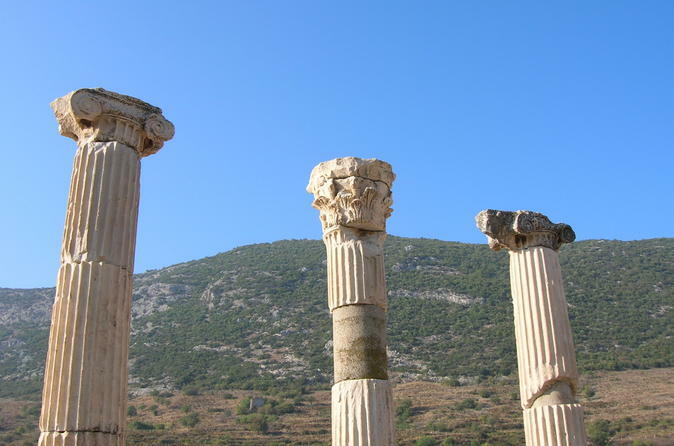 On this shore excursion, a private guide will ensure you make the most of your time in port as you visit Ephesus' major historical sites and learn important bits of the ancient city's history. 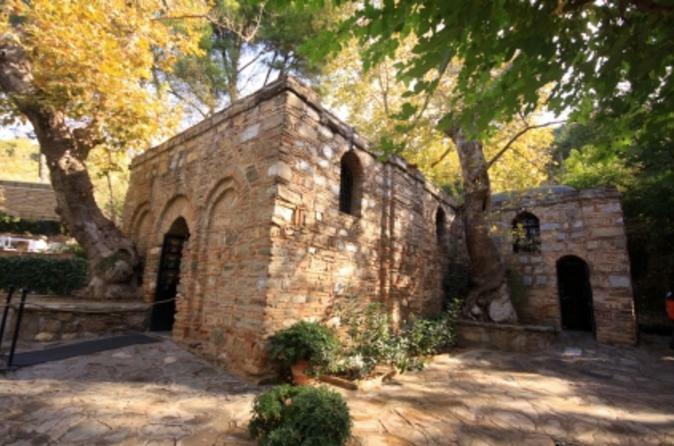 You’ll also visit the House of the Virgin Mary, where Mary spent the last days of her life. This is a regular group tour to Ephesus, House of Virgin Mary, Temple of Artemis, Isabey Mosque. There are about 10-15 people on the tour. When you’re in port in Kusadasi, enjoy a private full-day shore excursion to three of Turkey’s greatest classical sites. 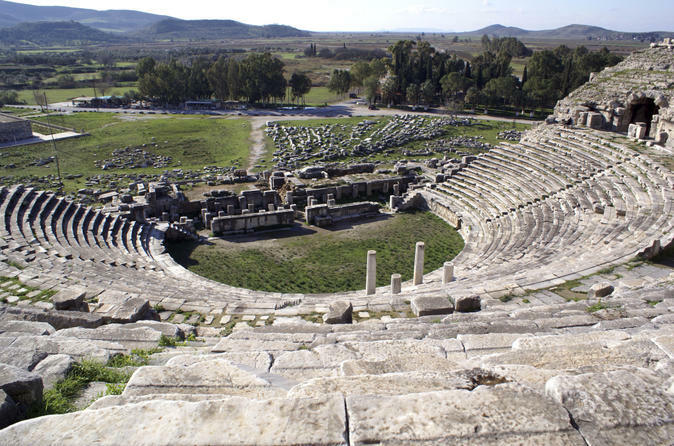 Traveling with a knowledgeable private guide, visit the ruins of ancient Miletus including its well-preserved theatre, and head for Didyma to see the remnants of its once-splendid Temple of Apollo. 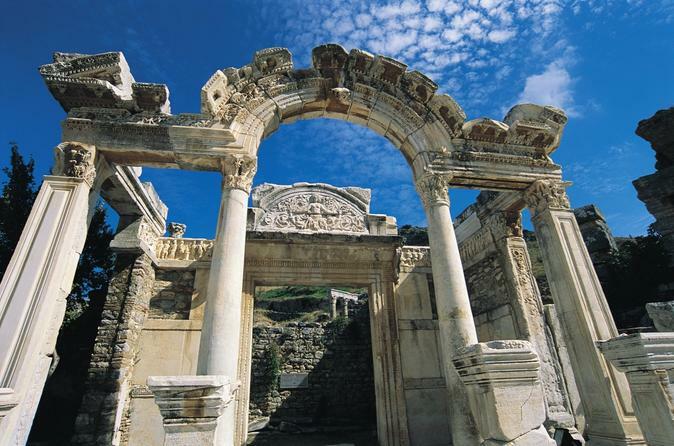 Topping the agenda is Ephesus, Turkey’s best-preserved classical treasure. Behold its spectacular Great Theatre and the Library of Celsus, amid its other impressive monuments, streets, shops and bathhouses. This private excursion ensures undivided attention from the guide throughout. 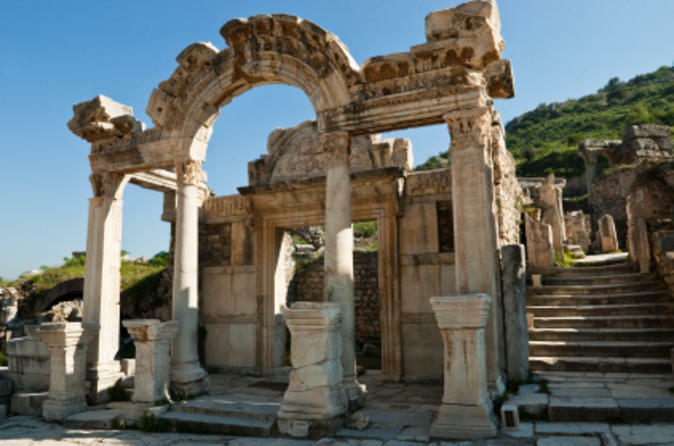 There are many ways of touring in Ephesus and this tour is for the ones who are deeply interested in archaeology and history lovers. 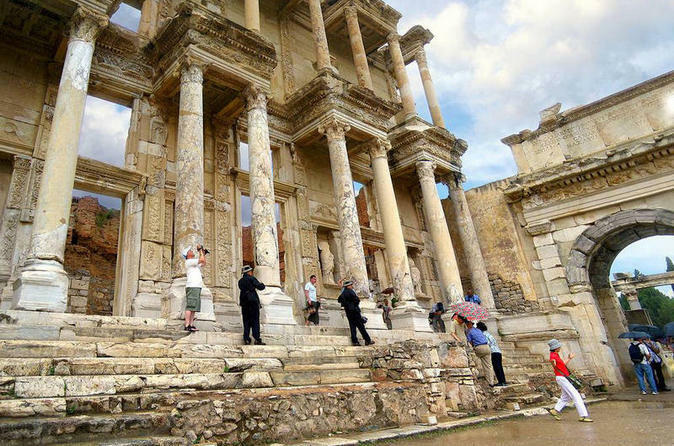 You will not only visit Ephesus but also go back to Roman Period by the help of your highly skilled tour guide. House of Virgin Mary, Ephesus, Ephesus Archeological Museum, Isa Bey Mosque, St. John Basilica, Temple of Artemis (Diana).